Reporting and evaluating the financial activities of a business. Before any recording can take place, there must be something to record. In accounting, the something consists of a transaction or event that has affected the business. Evidence of the transaction is called a document. A sale is made, evidenced by a sales slip. A purchase is made, as evidenced by a check and other documents such as an invoice and a purchase order. Wages are paid to employees with the checks and payroll records as support. Accountants do not record a conversation or an idea. They must first have a document. In almost any business, these documents are numerous and their recording requires some sort of logical system. Recording is first carried out in a book of original entry called the journal. A journal is a record, listing transactions in a chronological order. At this point, we have a record of a great volume of data. How can this data best be used? Aside from writing down what has occurred for later reference, what has been accomplished? The answer is, of course, that the accountant has only started on his task. This greatvolume of data in detailed listings must be summarized in a meaningful way. What were total sales this month? What were the total expenses and what were the types and amounts of each expense? How much cash is on hand? How much does the business owe? How much are the accounts receivable? The next task after recording and classifying is summarizing the data in a significant fashion. 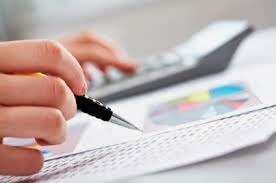 The records kept by the accountant are of little value until the information contained in the records is reported to the owner(s) or manager(s) of the business. These records are reported to the owners by preparing a wide variety of financial statements. The accountant records, classifies, summarizes, and reports transactions that are mainly financial in nature and affect the business. The reporting, of course, involves placing his interpretation on the summarized data by the way he arranges his reports. Business documents representing transactions that have taken place. (A business transaction occurs when goods are sold, a contract is signed, merchandise is purchased, or some similar financial transaction has occurred). Where variations exist, they have to do with the way the business transaction is assembled, processed, and recorded. These methods are partly arbitrary. First, you must understand certain simple principles of accounting. When you have a firm grasp of the fundamentals you can deal with any kind of accounting problem.